Denali National Park and Preserve is a sprawling, 6-million-acre land of snow-clad peaks, tundra-carpeted hills and rushing glacier-fed creeks. Easy access from the road system and the notoriety of containing the tallest mountain in North America (20,310' / 6,200m Mt. Denali, formerly known as Mt. McKinley) make this one of the most-visited parks in Alaska, with an enormous variety of wilderness excursions--from flightseeing to whitewater rafting and ATV tours--to choose from. Flightseeing Mt Denali which, at 20,310 feet (6,190m) above sea level, is the tallest mountain in North America. Best seen by air, some flightseeing trips even include glacier landings. Look into the Denali Park Road Lottery. To take part you must apply for a lottery ticket each May, and winners are selected in mid June. In September, winners can drive their own vehicle along the park road as far as weather permits. For keen mountaineers both Denali and Forakor (17,400ft / 5,000m) are big prizes. Backcountry hiking and backpacking are also very popular. Most of this is done off-trail--there are no established long-distance trails. Camping is popular too. Tents are allowed in established campgrounds, found at miles 0.25, 14, 22, 29, 35 and 85 of the park road. RVs are only allowed at the mile 0.25 campground and the mile 29 campground (the latter requires a three-night stay if you drive in). Popular guided activities in Denali National Park include backcountry backpacking, basecamp exploration, photography safaris and rafting day trips. Skiing and snowshoeing are also popular. Established in 1917 as Mount McKinley Park, Denali National Park currently contains 6 million acres, one third of which are designated wilderness. It was renamed in 1978, and expanded to its current size in 1980. The park occupies a total of 6 million acres--that’s the size of three Yellowstones! There are four visitor centers in the park. Denali Visitor Center near the park entrance, Eielson Visitor Center at mile 66 of the park road and the Wilderness Access Center near the park entrance are summer opening only; the Murie Science and Learning Center is open year round. The mountain Denali (formerly known as Mt. McKinley) was renamed in late 2015. Denali--as the locals have long called it--is based on a Koyukok Athabascan phrase meaning "the high one." Denali is the only national park with a working kennel of sled dogs. Denali's weather is extremely variable, although summers tend to be cool and damp. Snow can fall at any time of year, including the summer. The south side of the park tends to have more precipitation than the northern side, so its glaciers are larger and more impressive. Most park attractions run June through September, although the Murie Science and Learning Center and limited park access are open through the winter. An amazing 16% of Denali National Park is covered by glacier, the largest of which is Muldrow Glacier. Straddling the Alaska Range, Denali’s landscape and ecosystems vary widely from north to south. The landscape tends to be taiga forest and brushy tundra (with tough, scrubby plants typically around knee high) or alpine tundra. Crossing glacier-fed rivers and creeks can be especially dangerous here because the water is swift and prone to rising quickly. The treeline is around 3,000 feet (900m). The Alaska Range includes some of the highest, most challenging alpine climbs in the state, which remain covered in ice and snow year-round. Most remarkable, of course, is Mt Denali itself. Common wildlife sightings include moose, grizzly and black bears, Dall sheep, wolves, caribou, lynx, wolverine, eagles, ptarmigan and of course caribou. There's just one road that leads (partway) into the park. You can drive your own car on the first 15 miles, or take a variety of buses for the entire 85 miles. The Denali National Park entrance is off the Parks Highway, easily reached by vehicle (120 miles/2 hours south of Fairbanks; 235 miles/4 hours from Anchorage, 150 miles/2.5 hours from Talkeetna). Summer is known as "construction season" in Alaska; add an hour of "just in case" time when traveling from Anchorage, and at least 30 minutes when traveling from Talkeetna or Fairbanks. The park is easily accessed via the Alaska Railroad as well. This is a long trip: 8 hours from Anchorage, four hours from Fairbanks, two hours from Talkeetna. Backcountry permits are required for DIY backpacking or camping. They're issued only in person, no more than a day before trip begins. Get your permit at the Backcountry Information Center in summer (mid-May to mid-September) and at the Murie Science and Learning Center in fall, winter and spring. The park is divided into 87 units to minimize crowding; you pick from the units that are available only after you get there, so it helps to have several trips roughly planned out. 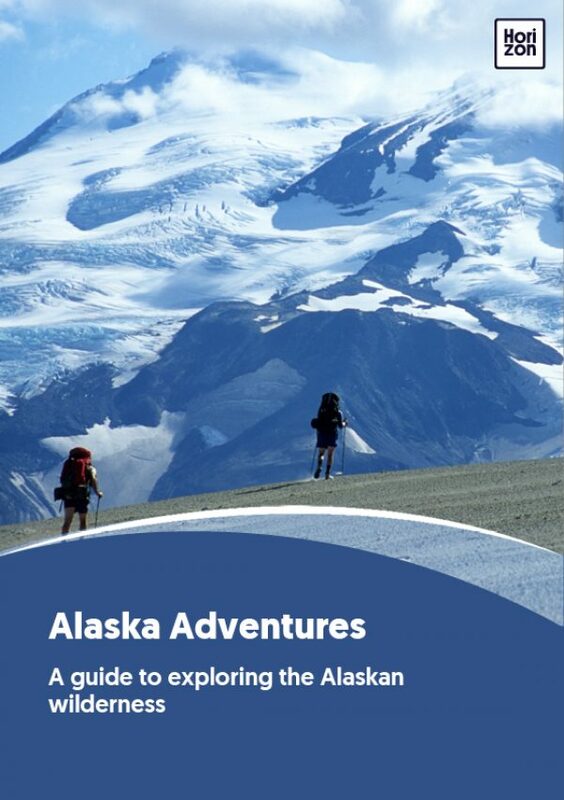 Climbers targeting Denali or Foraker must register with rangers at least 60 days in advance and pay a special use fee. Four air taxi services are authorized to operate in the park (flying people in and out). All are based in Talkeetna: Fly Denali, K2 Aviation, Sheldon Air Service, Talkeetna Air Taxi. If you're coming in from the north side of the Alaska Range, two kennels--Earthsong Lodge and Squid Acres--can help haul expedition freight by dogsled.